Steak and I love Halloween. 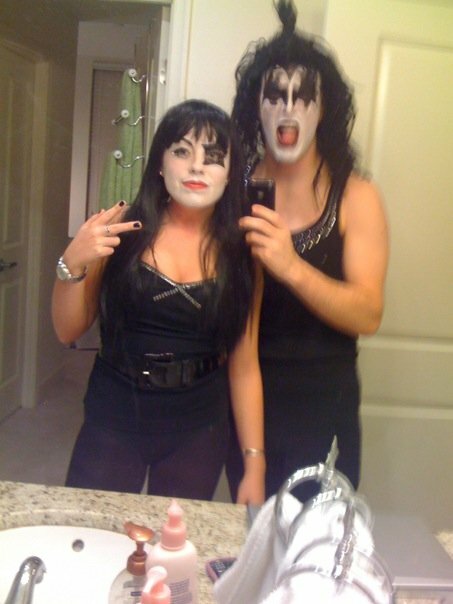 So much so that we painted our entire faces to be Star Child and Demon from KISS last year. Yea, we're that intense. But honestly, I haven't been as creative in years past. With the pressure of school I usually tried to come up with something really quickly. I lost a lot of my photos from freshman year and sophomore year, but I found this one picture from sophomore year. 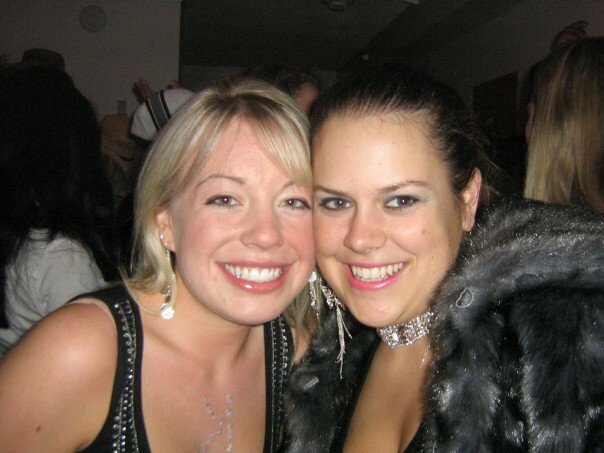 That year my roommates and I went as the four main characters in Mean Girls. We didn't do a very good job imitating the characters. I ended up being the only recognizable one of the bunch because I put the backwards K on my chest like Karen did in the movie. This costume came directly from my closet. Junior year I ended up with two costumes. 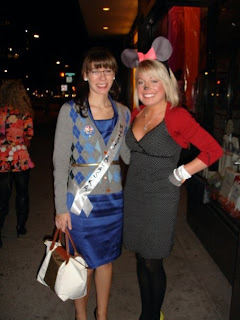 I threw together a school girl outfit with my BFF to go to the Mya Halloween concert. Then over the holiday weekend I dressed up as Marilyn Monroe. The only thing I bought that year was this red dress for $15 at Forever 21. Senior year, I went back to my roots. 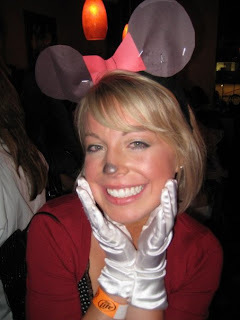 I dressed up as Minnie Mouse, yellow shoes and all. And for this one I bought nothing! I borrowed cat ears from my roommate and stapled construction paper on them to resemble Minnie ears. But just wait for our Halloween costumes this year They're going to be amazing! The KISS costume is one of the best I've seen! I have noooo idea what to be this year. I've turned into such a gleek that the first thing I thought of when I saw your KISS costumes was the Glee episode last season. Awesome execution!